A Jewish monthly; published in Berlin by Herman Jalowicz as the official organ of the Jüdischer Turnverein Bar Kochba. The first number appeared July, 1900. Its object is to advance the physical education of the Jewish race by promoting the exercise of gymnastics among Jewish young men. 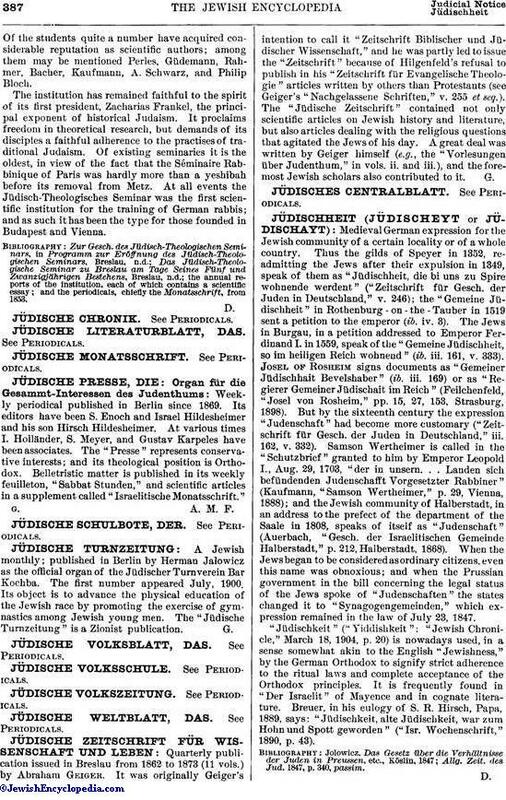 The "Jüdische Turnzeitung" is a Zionist publication.